Dark brown show jacket by BradyWear. Ladies 10. 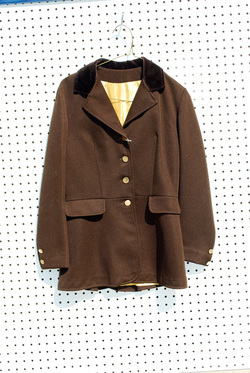 4-button, velvet collar. Single vent, framed by two buttons. False pockets. $30 Price includes postage.